Master Gardener, Tim Sullivan, visits NRI Project field in Five Points! 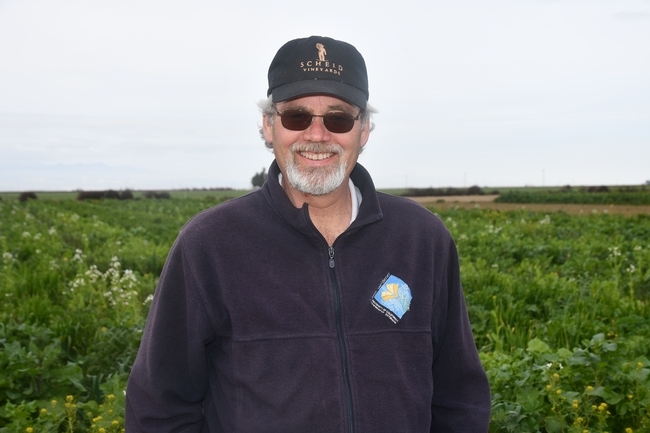 UCCE Master Gardener and longtime CASI member, Tim Sullivan, paid a very nice visit to CASI's NRI Project field in Five Points on March 1st, as part of the site's “Friday Open House” program. He is a retired real estate appraiser who worked extensively throughout the San Joaquin Valley's West Side region during his professional career before also becoming a Master Gardener and avid gardening instructor in the Fresno area. CASI's Jeff Mitchell hosted Tim at the 20-year old NRI Project field where the two of them talked about learning opportunities and future training programs for students in the classes that Tim teaches for urban gardeners. They also viewed up close the changes in different soil properties and functions that have occurred following the NRI Project's two decades of being in place. CASI sincerely thanks Tim Sullivan for taking time to come out to our long-term study site! UCCE Master Gardener, Tim Sullivan, visiting CASI's NRI Project field in Five Points, CA. March 1, 2019.